What a lovely jumpsuit, you have a professional photographer who knows the blending. Sei sempre bellissima!!!! Stupenda la borsa!!!! I fell in love with your sandals Jeanne! Amazing combination of colors! You look fantastic! Love the cardigan and the shoes Jeanne! Bellissima questa tuta, mi piace proprio! Hai stile e originalità da vendere...stai benissimo tesoro! You look great! love the ballerinas! 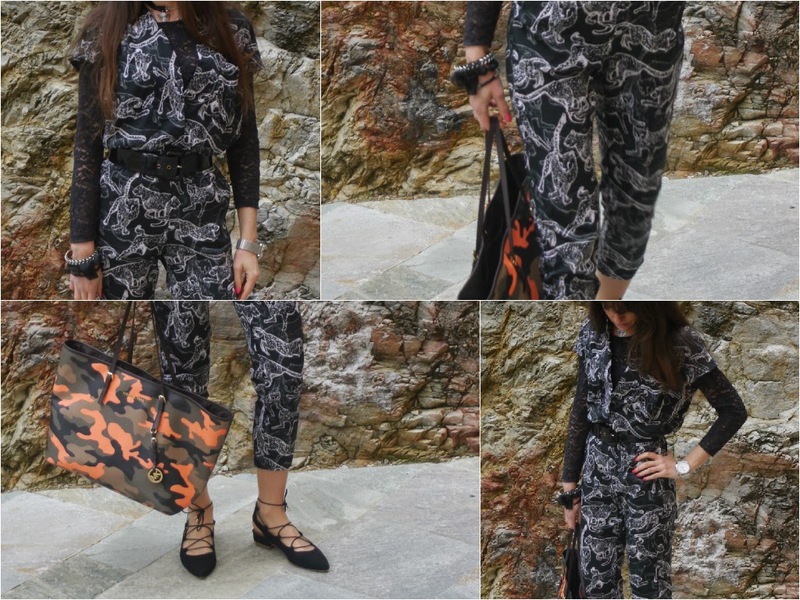 Questa jumpsuit è davvero particolare, ti sta molto bene! Bello questo mix di stampe :) ! Le voglio anch'io queste scarpeeeee,ma non le trovo su sarenza 😩! Penso aver comprato l'ultimo paio un po di tempo fà! Un bacio Denise! Have a great day, Jeanne! Would you check my last post and click on the link please? Thank you very much! That flats is sooooo pretty! Beautiful jumpsuit I really love the print! seriously you can wear so many different prints and make it all look good lol i dont think i could pull that off! How pretty can you be? Such a cool look, I love how you combined sll kinds of different patterns! Great mix of patterns love it Jeanne! I love ypur mix & match.... cool look doll!!! amazing jumpsuit...such a great print! Lovely jumpsuit. You look great as usual.